You are here: Home » Notes » Win Dale Jr’s Camaro! Today’s post will be a short (but important) one. 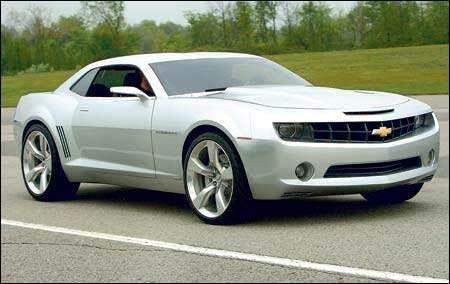 If you’re a fan of modern muscle cars, specifically the 2010 Camaro, here is an opportunity to win a brand new one….from none other than Dale Earnhardt Jr! As much as I’m a ‘traditionalist’ when it comes to muscle cars (i.e. 1960’s and 70’s steel), I am a huge fan of modern American muscle as well. There’s something really neat about a 426 hp coupe that has functional cup holders and air conditioning….and that you can have a conversation in without screaming. The 2010 Camaro is fantastic – and Thiel Motors already has a black on black 2010 Camaro listed here at The MuscleCar Place for sale. Therefore, if you don’t win Dale Jr’s Camaro, you now have a back up plan! I live in trinidad west indies would their be any of these cars coming our way I have a love for cars especialy the older muscle cars but the new 2010 camaro capture my heart in trinidad we only have japanese cars which can be a turn of at times however i will surely like to own one some day i am at moment working to obtain my home i am just dreaming that all for now .